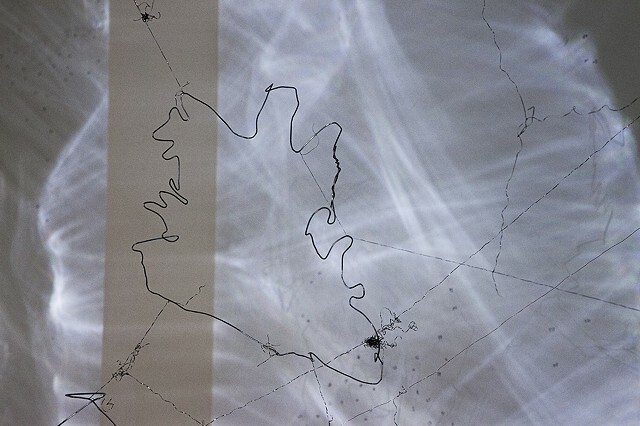 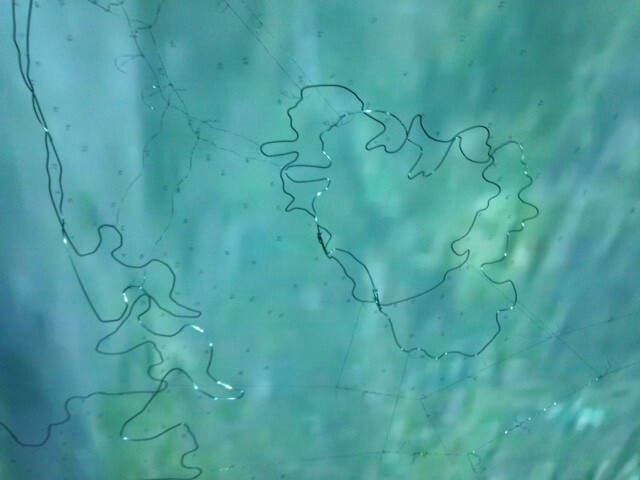 A three-dimensional map showing imaginary islands made with wires, inspired from the islands in the Aegean Sea, GR. 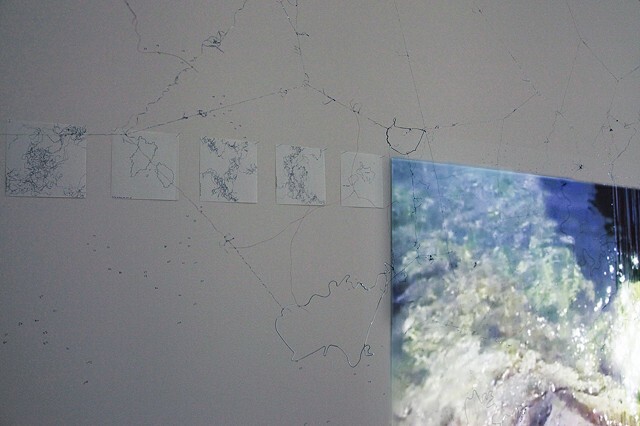 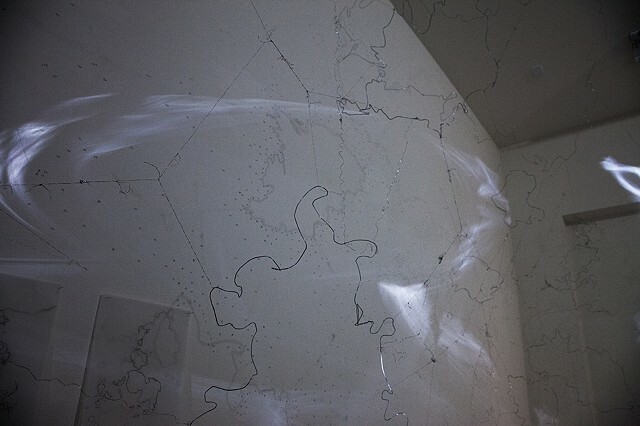 Another layer of map is formed around the space, on walls and ceiling, by casted shadows of the wire-islands and the depths of the Aegean Sea, GR. 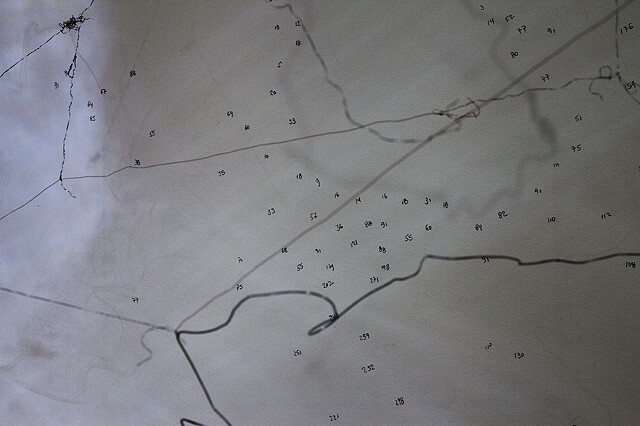 Depths are taken from a nautical map that fishermen (my father included) use to go fishing and to navigate. 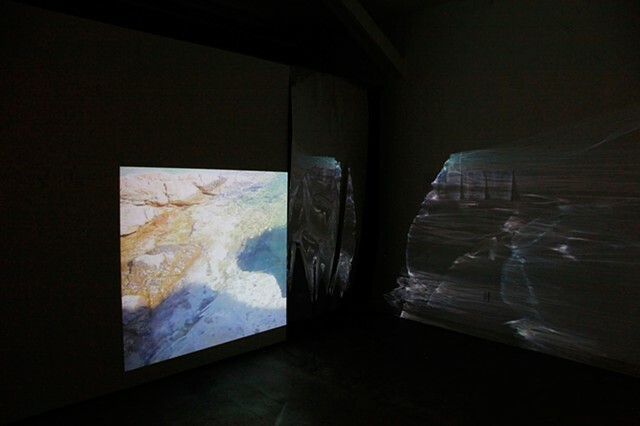 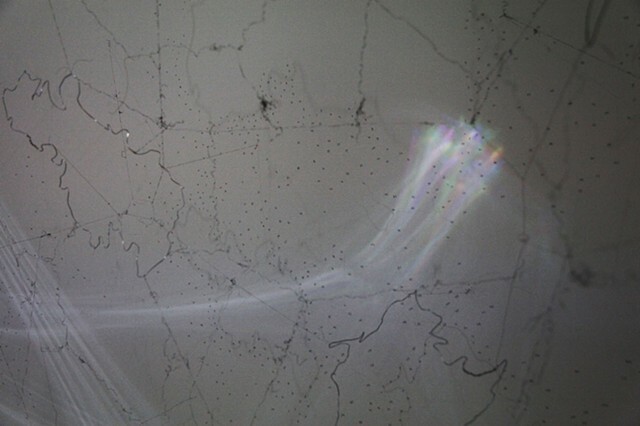 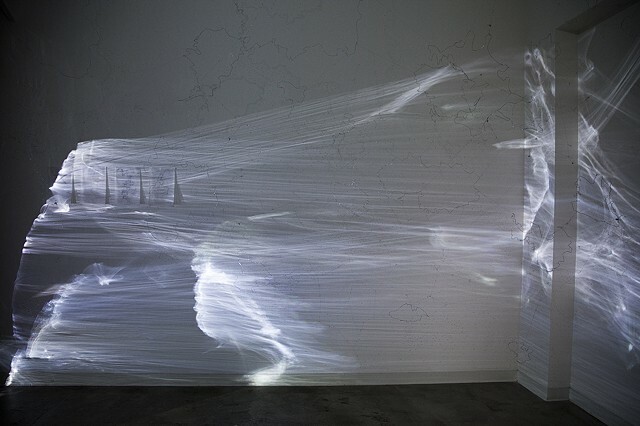 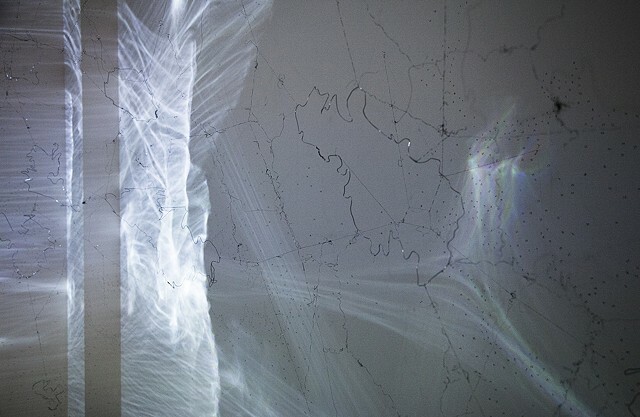 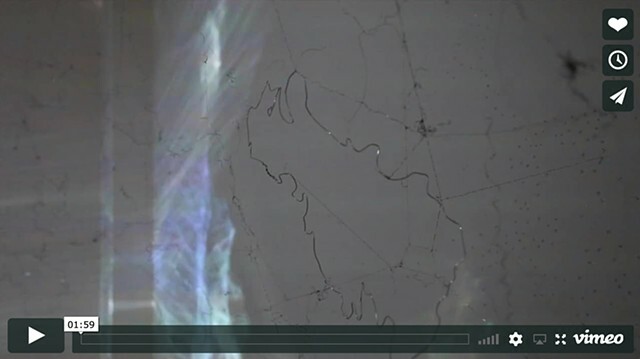 A projection on a moving piece of mylar generates reflections, and, together with sounds, an immersive environment invites the viewer to become part of it, and relocate himself making his/her own journeys. 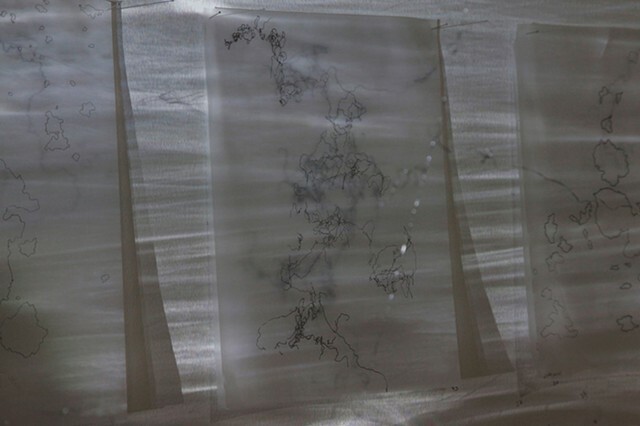 If interested, please visit: soundcloud.com/dimitra-skandali/loves-fears-and-hopes to listen to the 14:56' sound piece.